Our youngest learners get so excited when we talk about winter and snow! There are so many ways to celebrate the season as we enjoy fun activities and even decorate our classroom! There are different ways to use the winter weather to get our students engaged in learning without realizing they’re learning. Even if we don’t live in places that snow, we still find ways to bring the “snow” to our class! So we make adorable Snowy Owl Paintings and hang them all around our classroom. Our little scientists are able to do hands-on science experiments with a snow-filled winter theme. And our students show off their mastery of math with our Snowball Addition Puzzles. These are the things that make the winter season so enjoyable! 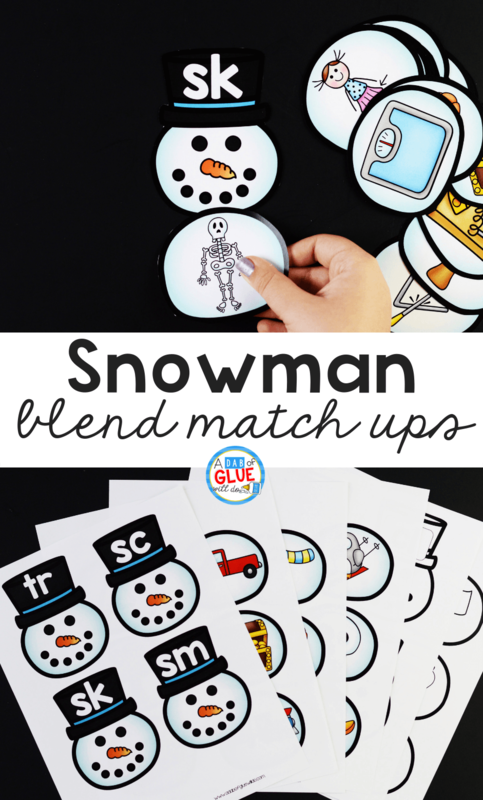 I created another way to connect snow and winter across our curriculum with this Snowman Blends Match-Up. 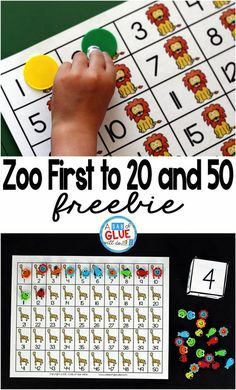 You can use this literacy activity to practice blending together individual sounds within words in a hands-on way! 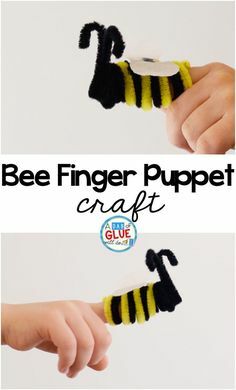 Want more winter ideas for your class? Be sure to take a look at all of our Winter Learning Activities. 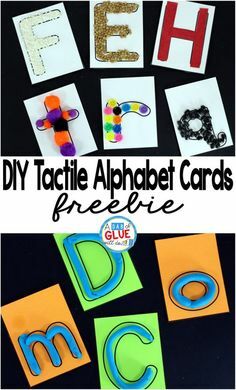 This is an entertaining way to practice decoding unfamiliar words using letter patterns! 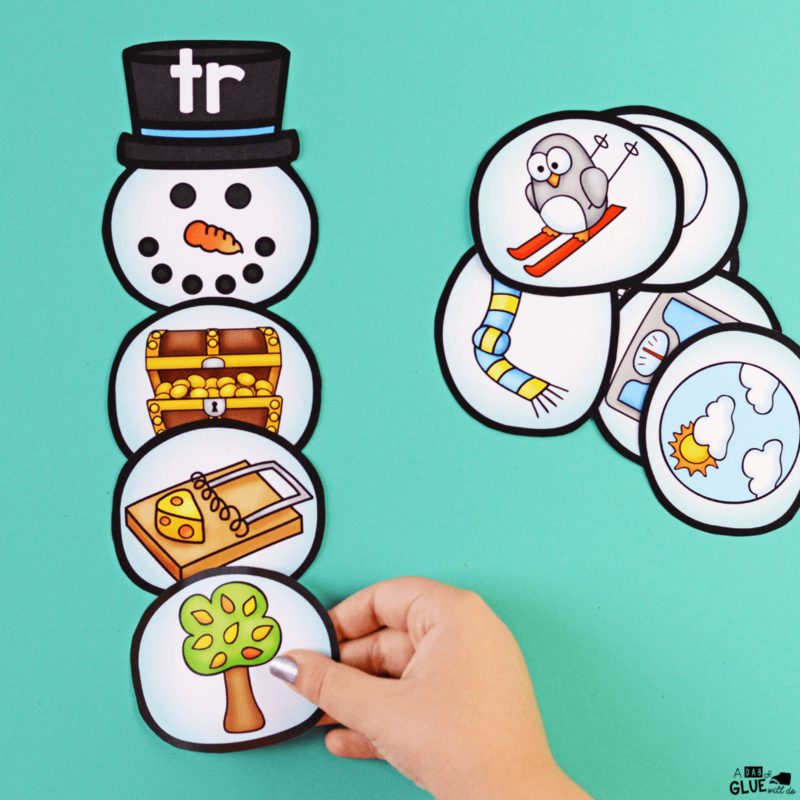 This winter theme match-up is a great way to help your emerging readers build on their phonological awareness. 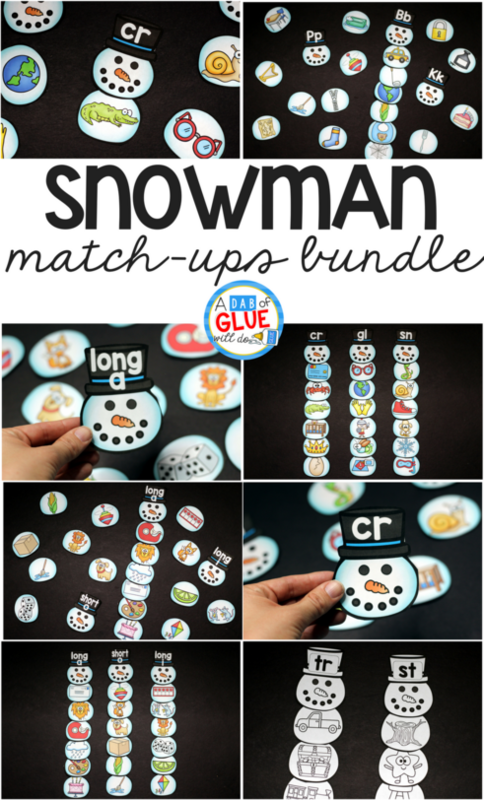 This snowman themed match-up is ideal for Preschool and Kindergarten classrooms. 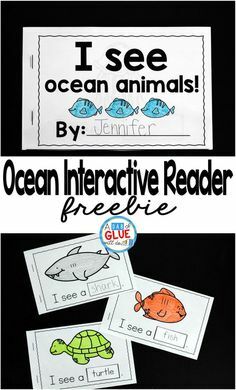 This resource is perfect for literacy stations, independent work, or in small review groups. Depending on where your students are at, it can be used as a review or a challenge. 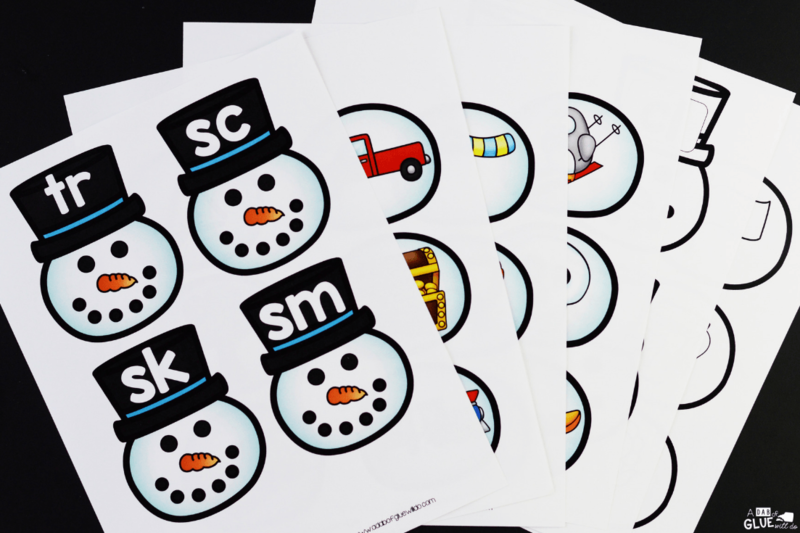 5 sheets with the snowman head covering common letter blends such as: cr, sp, fl, gr, bl, dr, etc. 20 sheets with snowballs, each with 6 different pictures. 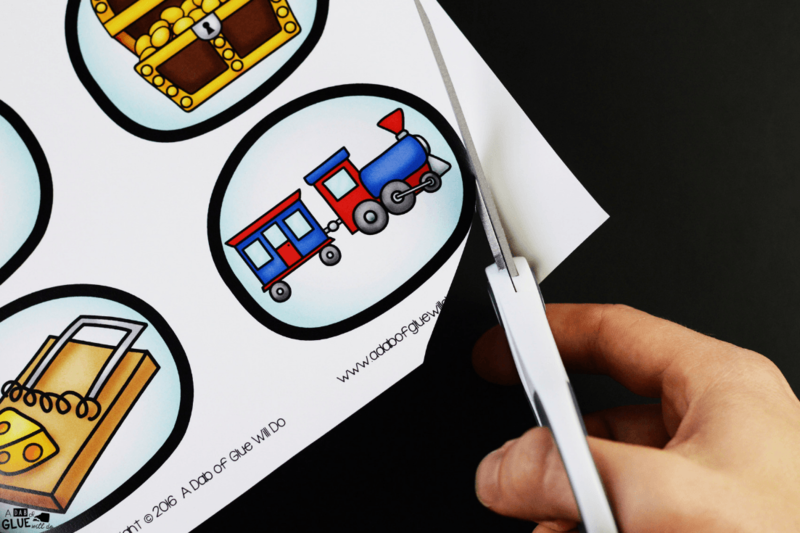 This resource also comes in black and white to save on ink, so it comes with 50 pages total. This printable is easy to prep. 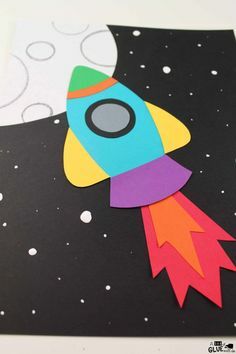 After you purchase the match-up and download it, you’ll print (color or black and white) and cut using a paper trimmer. Gather all of the pieces and place in a plastic container. I find it works best to store centers like this in plastic pencil cases. This way I keep everything in one place, and it does not take up a lot of space. Take a look at how I keep my Language Arts materials organized throughout the year. 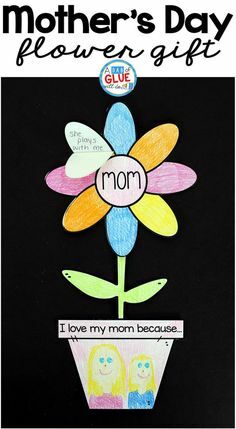 I recommend you print these out on cardstock and laminate them before you cut them so they can be used year after year. They will then sort through all of the snowballs with pictures looking for the ones that begin with the blend “sk.” You may want to have your students work in small groups the first time they try to complete the Snowman Blends Match-Up. Once their snowman is built with snowballs with the corresponding blend, they can move on to a new blend and start again. Another way this activity could be completed is to have all of the snowman heads laid out on the floor or a table. Students will then sort through all of the snowballs and build their snowmen. 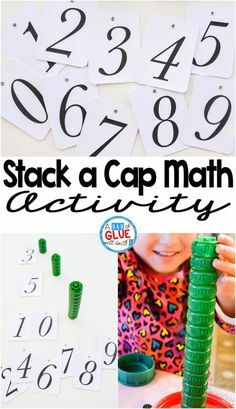 You can differentiate this activity for younger students or students who need extra review or practice. Provide them with only two of the snowman blends and the corresponding snowballs at one time. Once they master those, you can slowly add in more snowman heads and more snowballs. Whether students are working together as a group or showing off their mastery of words on their own, they’ll have a frosty good time! 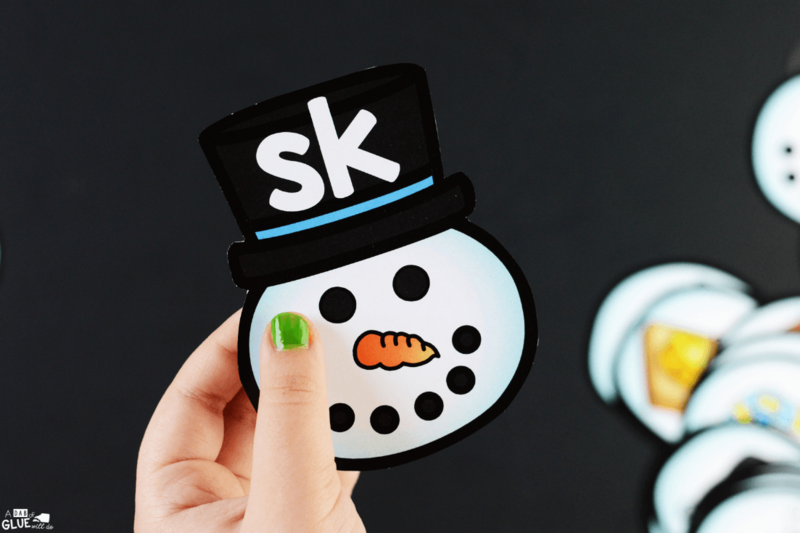 Download this Snowman Blends Match-Up Now! Your kids can practice blends all year long with our Blends Mega Bundle. It has 12 themed blend activities! Plus, when you purchase them together, you’ll save yourself some money! 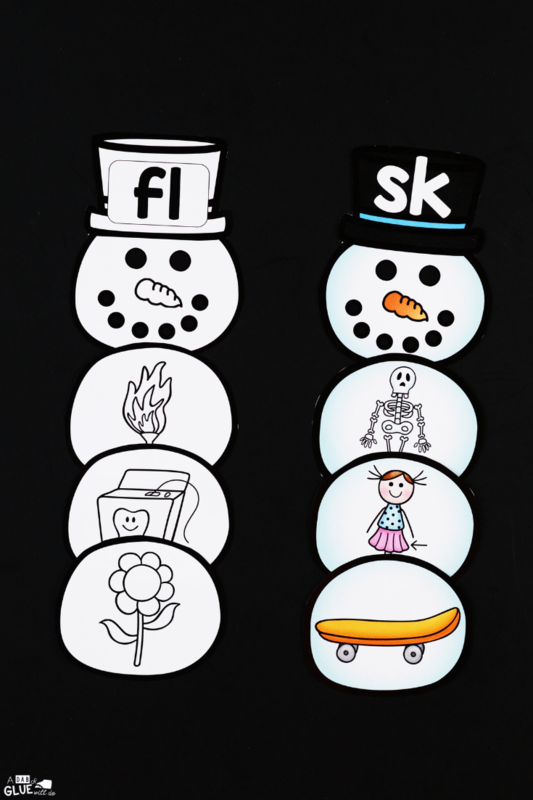 Have fun with your students in the classroom and at home with this Snowman Blends Match-Up Printable Activity. 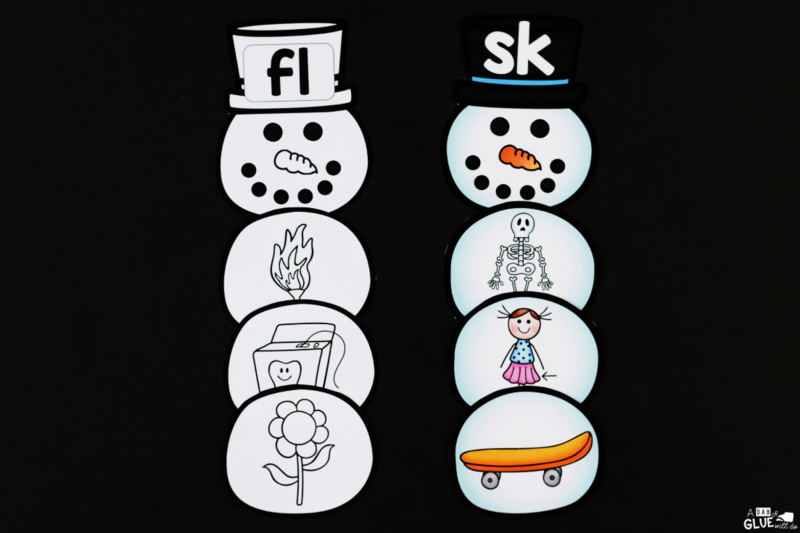 Don’t forget to check out our Snowman Match-Up Bundle!